We enjoyed our final breakfast in the hotel’s beautifully appointed restaurant before gathering our belongings together and checking out. Our stay at the Hotel Nemzeti M Gallery by Sofitel had been lovely with courteous and attentive service, delicious food and comfortable rooms. We left our luggage with the concierge to collect later in the day and then took the tram along to the southern end of Margaret Island for a morning stroll. The weather wasn’t exactly conducive for a walk on an exposed island as it was blowing a gale and drizzling, but we plodded on with our hoods up. Along the embankment, we could see exposed stones on the riverbed indicating how low water levels had dropped on the Danube after a prolonged, dry summer causing havoc to river cruise itineraries. Margaret Island is 2.5 km (1.55 miles) long stretching from Margit Bridge along to Årpåd Bridge but due to the miserable conditions we didn’t make it to the northern end, and instead turned inland in search of the island’s famous musical fountain. On reaching the fountain, which is said to rival the one in Barcelona, it had unfortunately been turned off for the winter period. In summertime, the shady paths criss-crossing the island would be a perfect place for a gentle stroll, but sadly not on the morning of our visit. 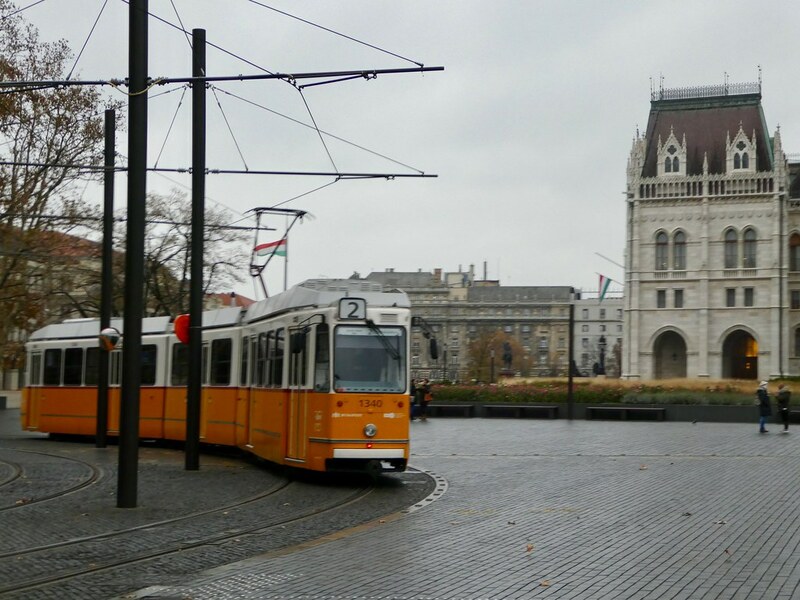 Returning to the tram stop, we decided to hop on a tram and take one final look at the magnificent Hungarian Parliament in Kossuth Square. On a return visit to Budapest, a guided tour of the Parliament building would be a high priority for us but on this occasion we only had time to visit the museum located in the visitor centre (admission free). This small museum documents the history of the National Assembly covering the 1,000 year long Hungarian legislation with exhibits in glass showcases and on interactive screens. 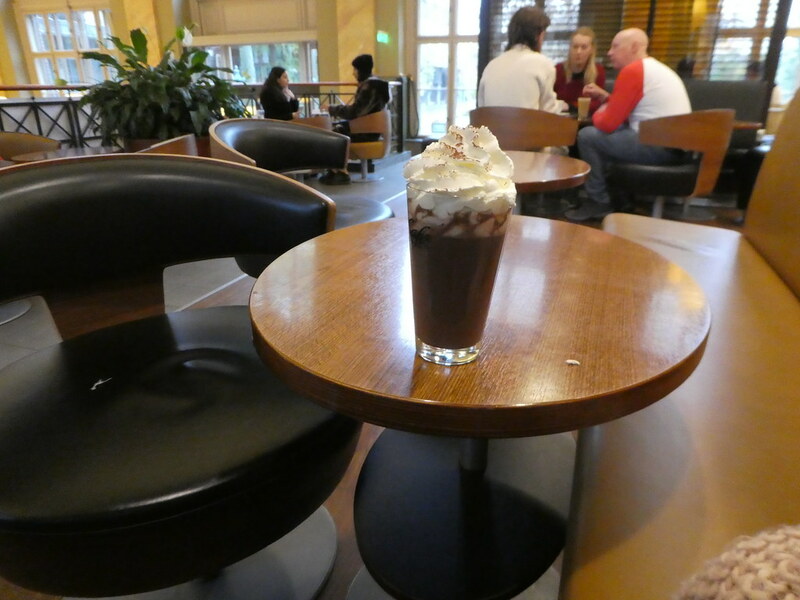 We then enjoyed our final mugs of hot chocolate of the holiday before returning to the hotel to collect our luggage from the hotel. Another advantage of the Hotel Nemzeti is that it has both tram and metro lines leaving from the Blaha Lujza tér, outside its door, enabling guests to travel around the city with speed and ease. We returned to the airport on Tram 4, transferring to Metro line 3 to its terminus at Kobanya-Kispest railway station before catching Bus 200 to Liszt Ferenc Airport. Travelling to Budapest airport by this method is included in the Budapest travel card but please note that the express Bus 100 which we took on our arrival is excluded from the travel card and an additional ticket needs to be purchased to travel on this service. 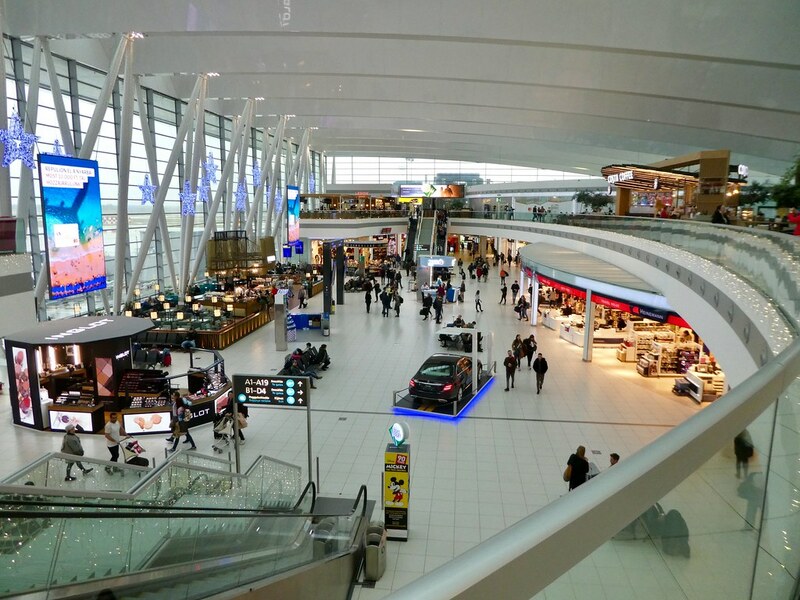 Budapest airport is quite pleasant with numerous airside cafes and shops. We found some seats near the large windows and sat there awhile watching the planes take off and land until our gate opened. Our Ryanair flight departed just a few minutes late and it was a smooth two and a quarter hour journey back to London Stansted. 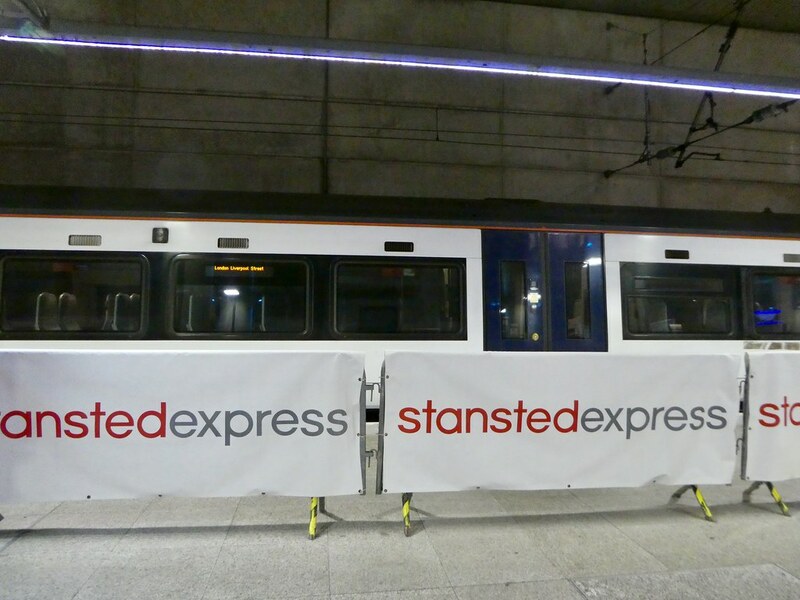 Here we found plenty of e-gates open and we were soon heading down to the railway station for the Stansted Express to the centre of London. I would like to thank Visit Budapest for helping to make this short break possible. As always, all views and opinions are entirely my own. Thank you, it’s so nice to read you enjoyed this post. Thank you Ian for your ever welcome thoughts and it was so interesting to learn that Hungary is your wife’s homeland. I loved Budapest when I visited a few years ago! It sounds (and looks!) like you did, too! Yes, we had a lovely time there Cate and could return anytime. I really want to go back to Budapest. It has been over almost 9 years now. Thanks for your kind words Sandra. I do hope you get a chance to return to Budapest soon. I thought that too Daniela. Thank you for your much appreciated thoughts. It’s my pleasure France55 -I do hope you get an opportunity to visit Budapest someday! The paths on Margaret Island caught my eye seeing as that is the theme for my current photography challenge! Always wanted to visit this area. Maybe one day…. Started reading your blog and I love the way you present your travel experiences. Will definitely read on. Happy travelling. Thank you so much for your kind words Edzan, it’s so nice to read that you are enjoying my blog. Thank you for your kind words. I do hope you have a chance to visit Budapest sometime soon! I love Margaret Island. You’ve brought back happy memories of cycling around the park in a tandem 4 wheeler. I noticed those tandem 4 wheelers when we were walking round. 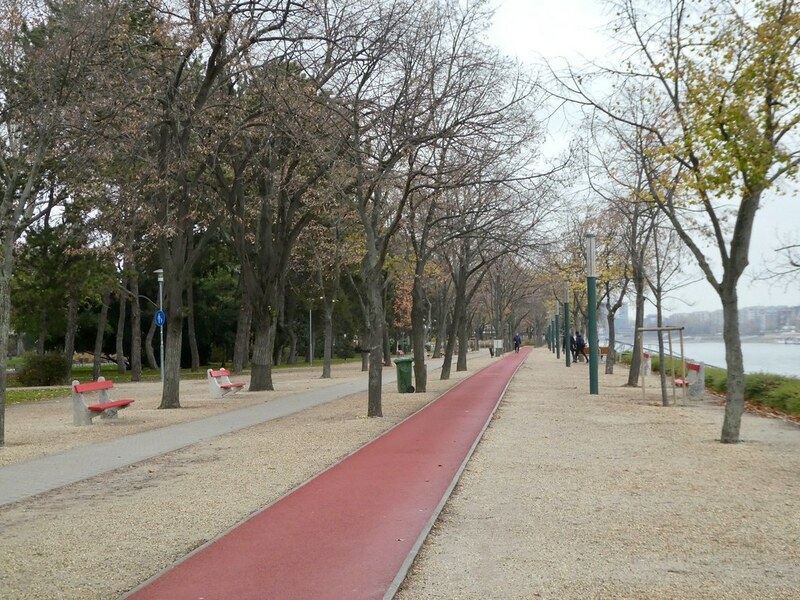 There’s a really nice jogging track too! So pleasing to read that you loved Margaret Island too. It’s been great to follow you on your Budapest trip, so interesting and got me wanting to go back and revisit the city. Have to see if we can fit it in sometime. Thanks Jonno for your welcome thoughts. Hope you get an opportunity to return to Budapest before too long! I’m so jealous! I’m stuck in the snow cold winter here in Michigan. Glad to see you’re enjoying your travels. Whats been your favorite part so far? Budapest has been on my list for awhile now. Budapest is a really lovely destination whatever the time of year. I think that I’ve enjoyed everywhere that I’ve visited for differing reasons. Thank you for your much appreciated thoughts on my post. Thanks for sharing the final day in Budapest. My dream trip would be to take one of the many river cruises on some of Europe’s major rivers. Being a lover of history, I am sure that such a trip would be exciting. I think one of those river cruises would be just perfect. I know friends who have taken them and they have all been impressed. Thank you for taking an interest in this post – it’s lovely to read your thoughts. 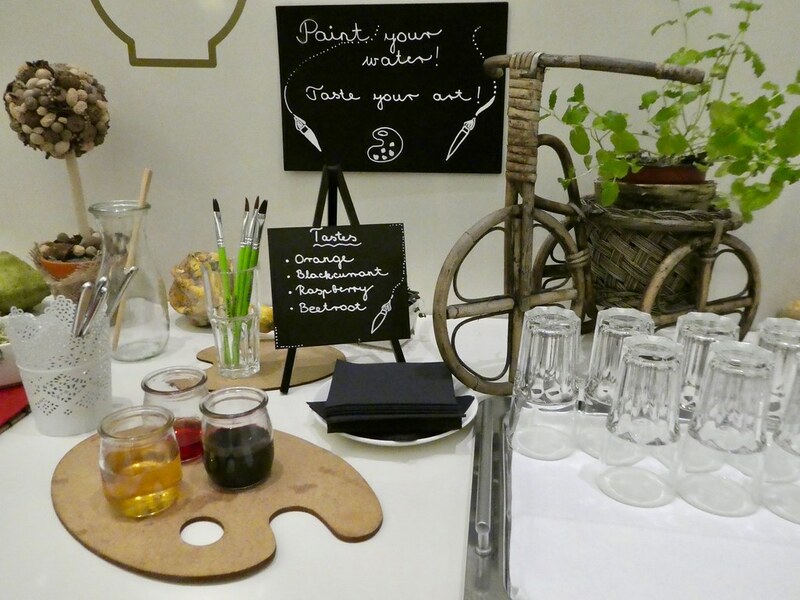 The paint-your-water looks interesting, it’s always nice when hotels have something a little different on offer. I hope you enjoyed your final day despite the weather not playing the game. I feel terribly British now for mentioning the weather! Thanks Helen. For most of our stay in Budapest we had lovely blue skies so we couldn’t really complain! 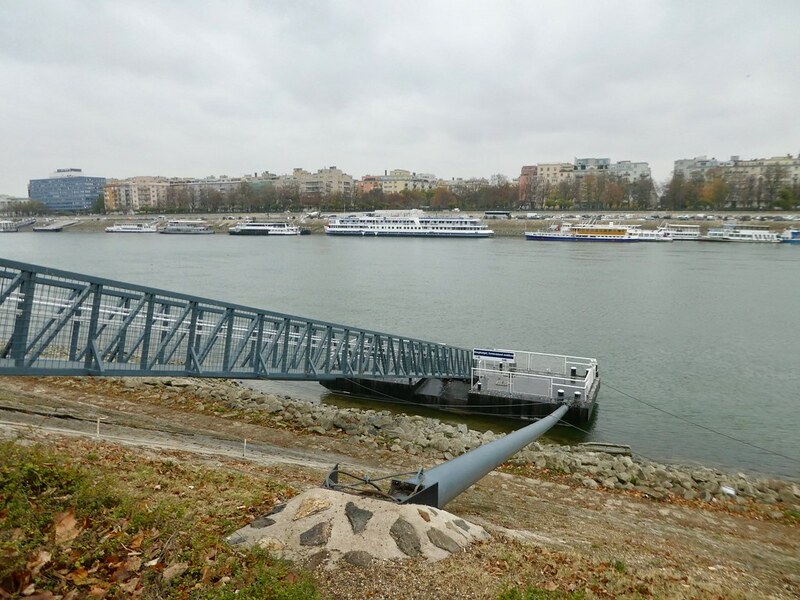 I remember going for a jog on one of our mornings in Budapest, heading over to Margit Island, and discovering the padded running track by accident. It was wonderful and I’ve never seen anything like it before or since. Yes, the padded running track is in a perfect position and I expect it is popular in better weather. Thank you for your much appreciated comments. A fabulous commentary as usual Marion. I really enjoyed reading this post and as always looking at your photos. Your lovely comments are always appreciated Sue. Hope your week is going well. My friend Jane’s hopes of watching Andy Murray have now been dashed but I’m certain she will enjoy watching other players. Have you started planning your U.K. trip yet? Marion. How lovely Sue that you are relaxing in Seminyak. I haven’t visited Bali but I’m sure it’s idyllic, especially along that part of the island. Have a great time and I’ll look forward to reading about it and seeing your photos in due course. We strolled on Margaret Island in late May and it was wonderful! We bought the two day hop on/off bus pass which included a river trip which was ideal for our short stay. That sounded a good idea Douglas, it’s so nice to read that you also enjoyed your visit to Budapest. Late May would have been a bit warmer too! Thank you for taking the time to comment, it’s much appreciated.